Found this hydroponic set at the back of the office building, like the way the creator arranged the pots and the piping. 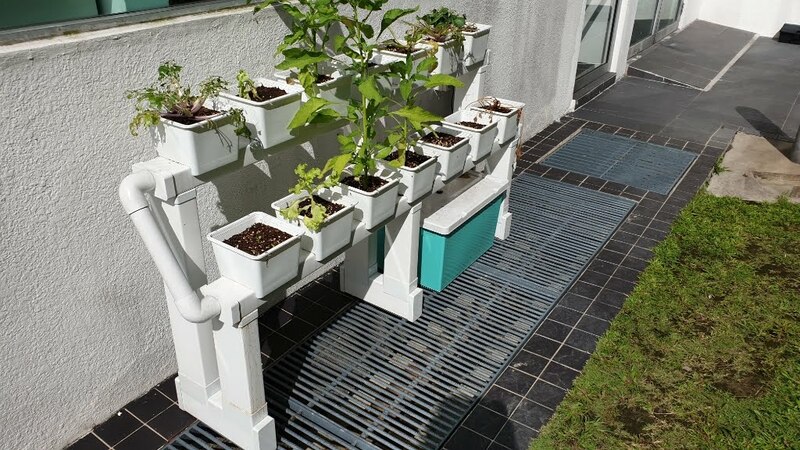 Maybe in the future should make a set for my aquaponics of course with minor modifications. I think the angle of the piping can be optimized for better flow. Just my two cents.